Dr. James Arnone has worked with saccharomyces cerevisiae, or brewer’s yeast, as it is known to many. However, what he is doing is far from making the next best craft beer. Dr. Arnone, his students and alumni lab participants are studying genetic regulation and aging. Yeast is a eukaryote, which means they are much more complex than bacteria. Studying yeast can lead to a better understanding of human biology as well. His published papers share information with the scientific community that could be helpful in further understanding the best way to create gene therapies and genetically modify crops in the future. Since genes are regulated in such a complex way, small changes can have large effects, so a greater understanding is paramount to progress. “So far, I’ve worked with some great undergraduate and graduate students here, and 14 of them have been authors on papers with me,” Arnone said. Some will even continue to work in Arnone’s lab after they graduate. William Paterson senior, Maria Katrina Holganza, approached Dr. Arnone her freshman year because she was interested in genetics. She is now a published scientific author as an undergraduate, which is very uncommon. “We found there are genes that are functionally related,” Holganza said. Ribosomal protein genes are found in clusters, so the students conducted research to find what other related genes are in clusters, and why. “Evolutionarily there might be some reason behind it, so we were investigating that,” she said. “It gave me hands-on experience,” alumnus Ahmad Abu Hardan said of working in Dr. Arnone’s lab. “Right now I work in a medical lab, and a lot of what I learned over here, I can use over there. It gave me an upper hand.” Hardan is also published on Arnone’s latest paper. 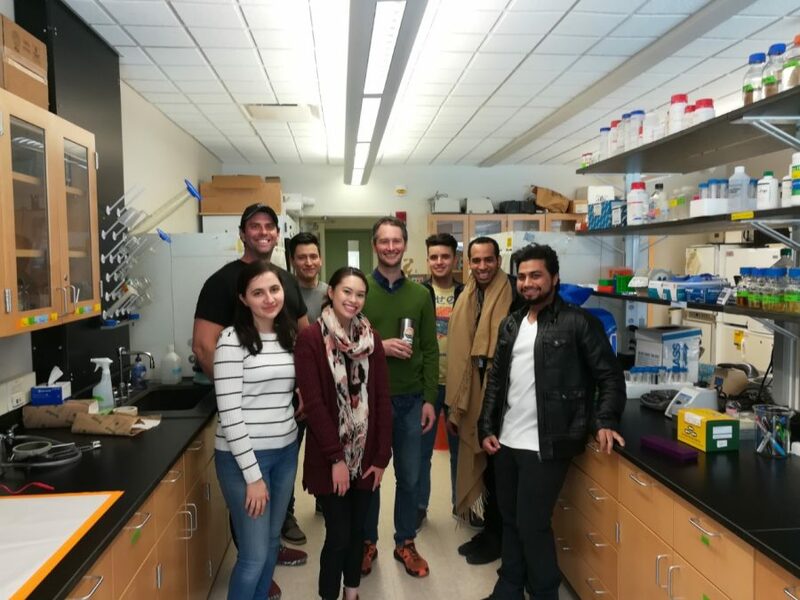 “Aside from just learning techniques in lab, meeting these people” enhanced Irvin Gamarra’s experience at WPU. He is now a graduate student, graduate assistant, and an adjunct professor at WPU, and continues to work in Dr. Arnone’s lab. “Dr. Arnone is a great professor. He will help you out in every single step,” Gamarra said. Dr. Arnone completed his undergraduate degree at the University of Connecticut as a Molecular and Cell Biology major. He completed his masters at Central Connecticut State University in Biomolecular Sciences. He attended graduate school at Wesleyan University, completing his degree in Molecular Biology and Biochemistry. Arnone started his work on gene expression in yeast there and continues his work at William Paterson University.